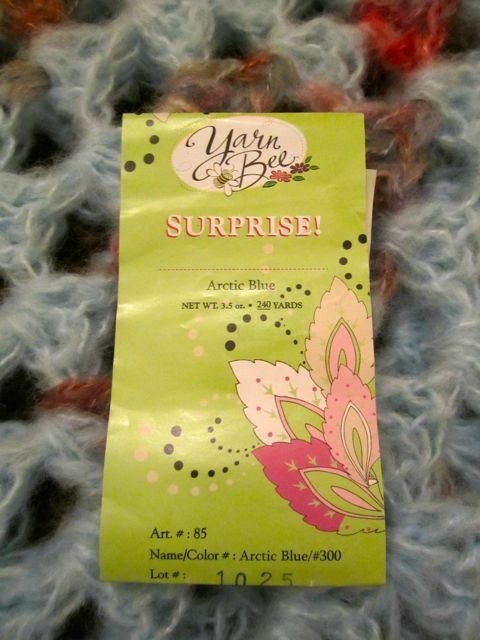 Well, it was a surprise – and now that the surprise is over, I decided I really don’t like this yarn color which is Yarn Bee’s arctic blue. 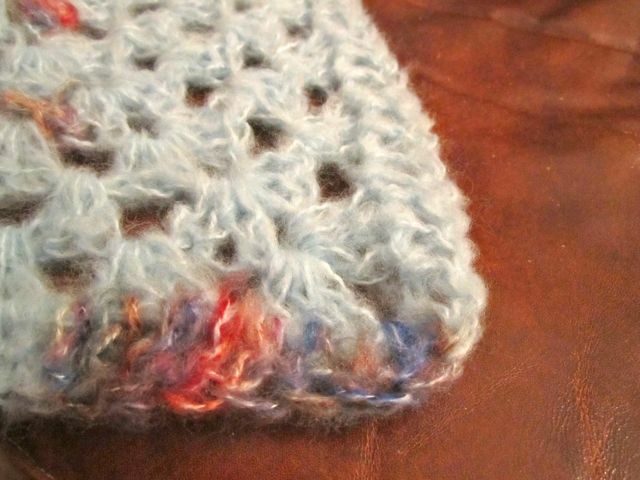 I like the texture of it but just not the color mixture. 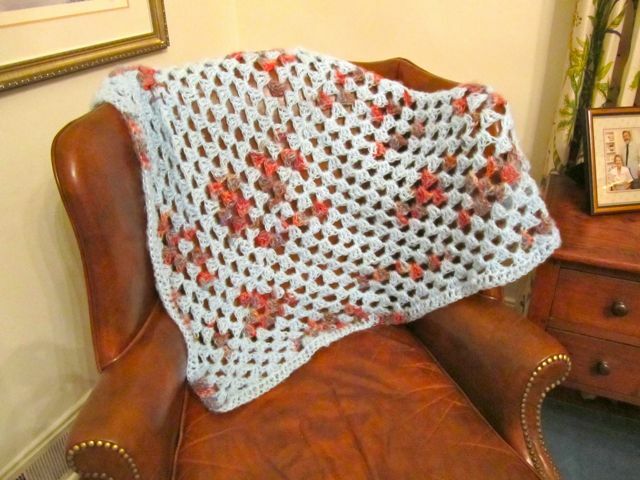 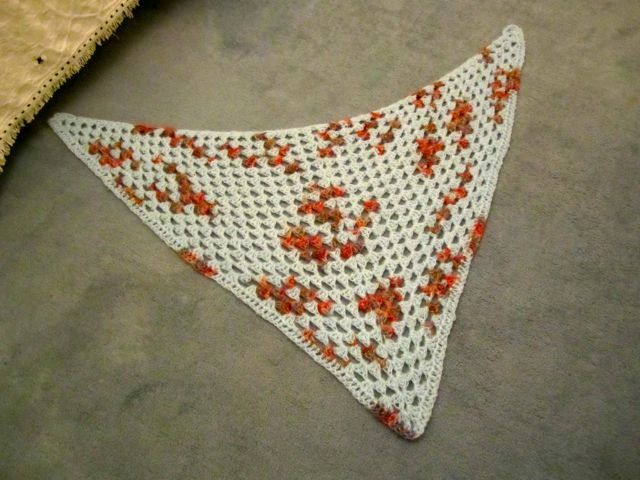 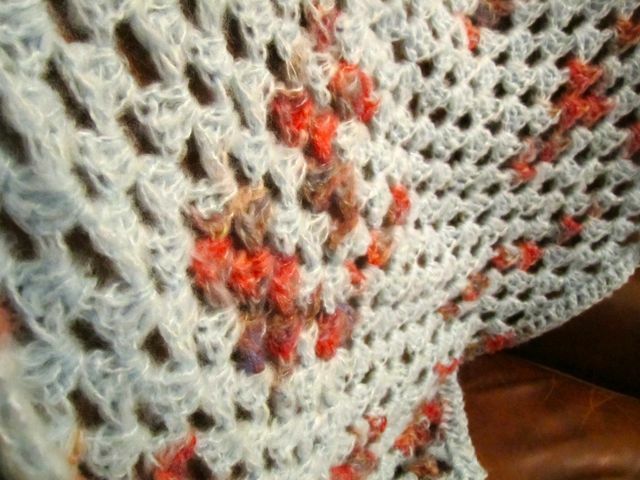 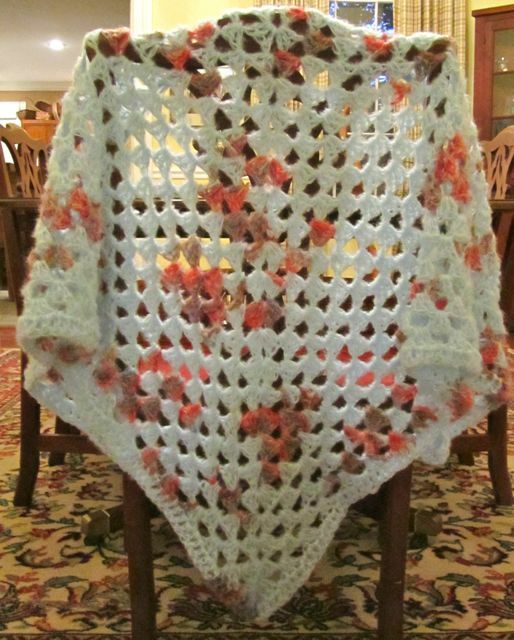 It’s kind of like a weird camouflage… I would like this yarn a lot more if it didn’t have the odd colors speckled throughout… The shawl is a simple granny pattern and the border is just a double crochet.